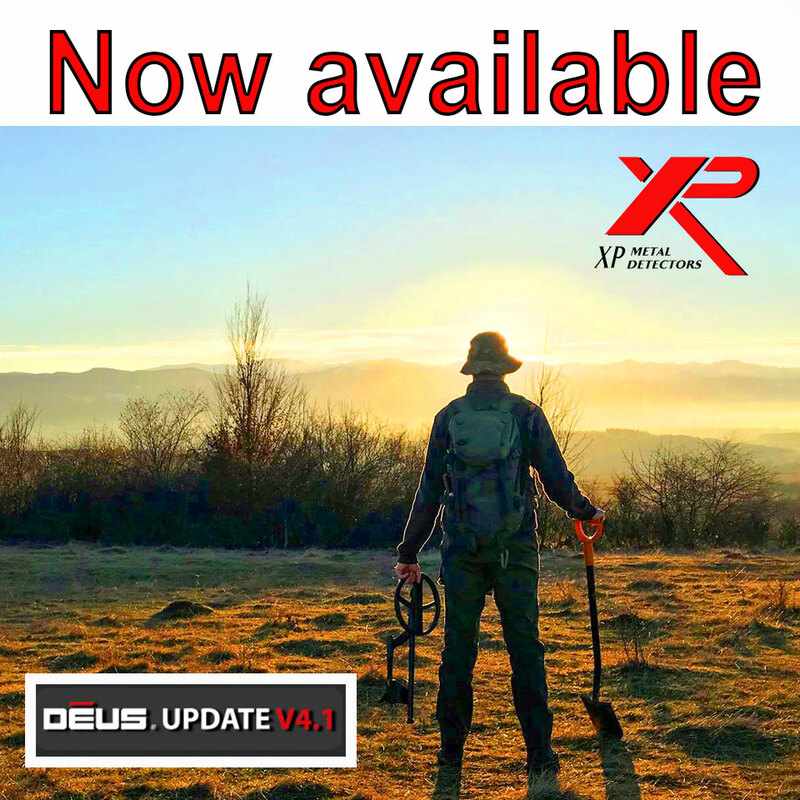 The new version of the XP Deus metal detector software version 4.1 is available to download free for windows pc users, there is no download available for a Mac. You will loose all your custom programs after an update, make sure you have the coils, headphones and charger to hand. Here you will also find the latest XP information and the revised Deus 4.1 instruction manual, covering ground sensitivity on page 35. Deus version 4.1 update procedure. Download the Deus update file to your desktop. 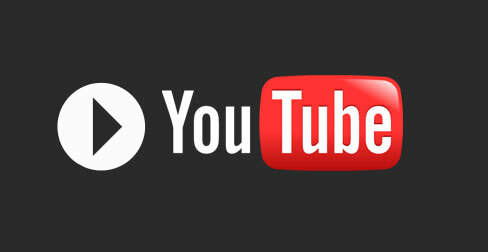 Then install it onto your pc,allow a desktop icon to be installed, then open up the desktop icon to start the software. You will notice the first screen…..Those familiar to the Deus updates will notice a new option will be seen. Follow stages 1 to 5 as listed in the picture below. Please make sure the first coil in your coil menu coil and your headphones are on charge…..Yes you are advised to put these items on charge before and during the update, make sure your headphones are switched OFF at this stage. 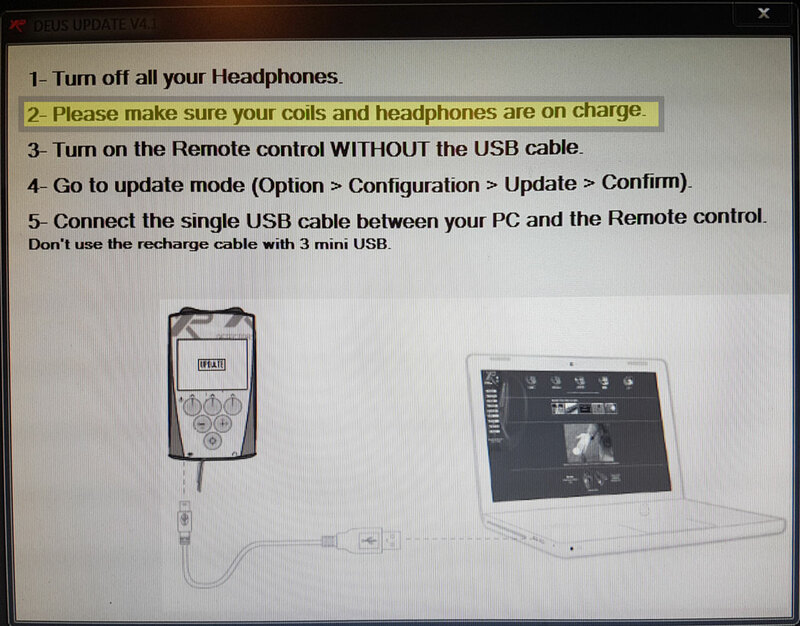 Once your coil and headphones are on charge, follow the rest of the procedure instructed in the picture above. Once the update is underway you will be asked to unplug the USB from the RC and plug it in again. Then the coil update screen will appear, telling you to make sure your coil to be updated is on charge. Check the serial number on the warning is the same as the coil on charge and click YES if it is on charge, click IGNORE THIS COIL if you do not want to update the coil and it will skip to another coil in your Deus menu. You will need to fit the charging clip to each coil before it updates. If you have a white HF coil, the update process WILL NOT be displayed on your screen, however please make sure the HF coil serial numbers are installed into your RC and headphones before the update. Once your coils are updated it will then ask for you to turn on your headphones, if you have 2 SETS OF HEADPHONES only turn on 1. Once your first set of headphones have been updated you will be asked if you have another set, if so click YES, now you must turn off your first set and turn on the second set. 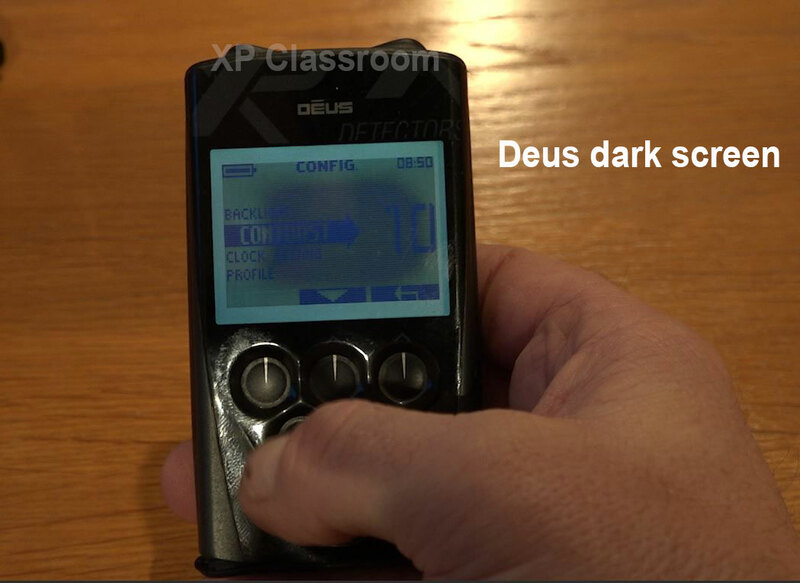 Once your Deus has been updated the screen may appear to be dark, this is because the contrast may need adjusting. Go to Options – Configuration – Contrast and lower the numbers.